McCain's Daughter: Ann Coulter Is a "Train Wreck"
Meghan McCain ripped Coulter for being "a train wreck" and called her the "biggest culprit" when it comes to perpetuating the negative stereotype of Republicans. The daughter of former GOP presidential candidate Sen. John McCain bashed the Republican Party for being "as hip as Donny Osmond" and cited "radical" GOP cheerleaders like Ann Coulter as the problem. Meghan McCain ripped Coulter for being "a train wreck" and called her the "biggest culprit" when it comes to perpetuating the negative stereotype of Republicans in her most recent blog post for the Daily Beast. 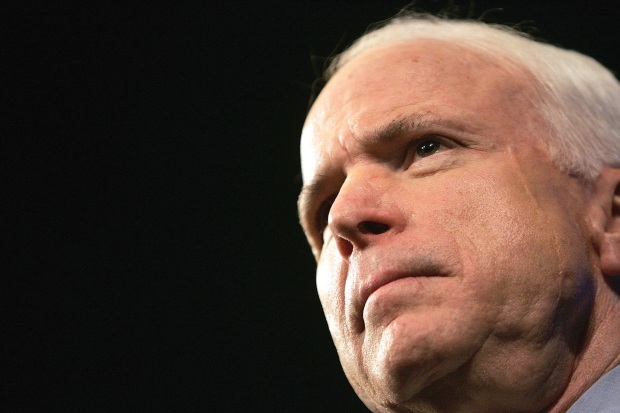 "I straight up don't understand this woman or her popularity," McCain wrote. "I find her offensive, radical, insulting and confusing all at the same time." McCain charged that Coulter's outlandish statements are nothing more than a gimmick that turns off young people to the Republican Party -- which is "about as edgy as Donny Osmond," she writes. "Everything about her is extreme: her voice, her interview tactics, and especially the public statements she makes about liberals," McCain wrote. "Maybe her popularity stems from the fact that watching her is sometimes like watching a train wreck." McCain's lamentation of being an up-hip GOPer in the shadow of President Obama -- "the hippest politician around" -- in tangible throughout the story and though she acknowledges that being cool is no reason to join a party she says it proves her party is out of touch. "Granted, being 'hip' is not a reason to join a political party, or a reason to agree with its ideals," she wrote. "But it is a way to get the attention of a generation -- or, more specifically, my generation."